It’s the bay area band’s latest single from their upcoming album, Stranger To The Pain. 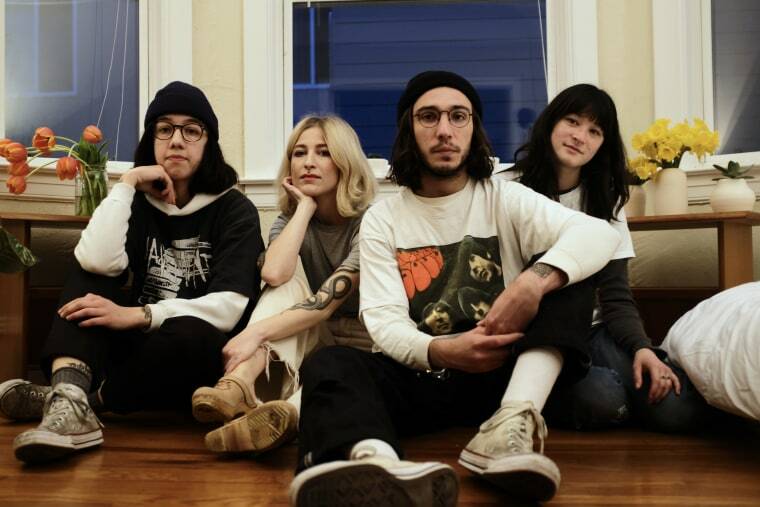 Pllush is a four-piece band from the Bay Area that pairs dreamy, shoegaze-y rock with strikingly honest lyrics. Today, they share their latest single from their upcoming album, Stranger To The Pain. The song is called "Ortega," and it dwells on the many embarrassing and messy moments of growing up. Guitarist and vocalist Eva Treadway's lyrics are specific, yet painfully relatable; "Colin’s coming over and he said he quit his job, I’m crying in the bathroom at the New Year’s that went wrong," she speak-sings in the second verse, revisiting unsatisfying diary entries from her youth. The charm of the track, however, lies in the chorus, which is generous in sympathy and perspective: "But it’s a true word under a harsh light, and it’s a new world clenching my hands tight." "'Ortega' is about being 19 years old," writes Treadway via email. "It’s about meeting a lot of friends who changed my life and this weird where you are kind of on the edge of adulthood and everything is really beautiful and scary. It’s about building connections with people and getting drunk in parking lots and trying to figure out how to be an adult." Listen below. Stranger To The Pain comes out 6/8 on Father/Daughter Records.